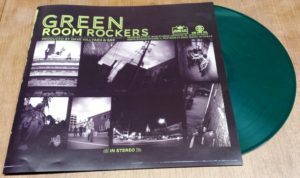 GREEN ROOM ROCKERS – Self-Titled CD/LP (JUMP092) – VERY limited repress! “Our sound is funky reggae, soul, a dash of country roots, and Punk Rock Ethos. The style of reggae and ska we play has urgency and intensity. It’s sweaty, pound the floor, dance music”. It’s hard to believe it’s been nearly 7 years since we released the second album from Indiana’s funky soul reggae ska masters, now they are a name known around the world! We were lucky enough to get one last small “dirty repress” from the original stampers (so don’t be picky if there’s a little crackle love! 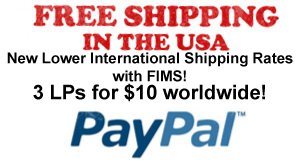 ), so act fast once these are gone they are GONE. Only 50 guys! Though themes are of heartbreak, disappointment, and social worries, the end all be all is “don’t stop, keep moving.” From the Muddy Banks of the Wabash River comes the Soul Sonic, Blues Drenched, Sounds of Reggae and Ska that is the GRR. Their debut “HOOSIER HOMEGROWN” instantly had the ska scene taking notice. Could this band really have only formed in 2006? Hard workin and constantly touring, GRR quickly built up a solid fan base by playing shows big and small all across the USA, including stints with THE SLACKERS, MOON INVADERS, and AGGROLITES. On this self titled second album, producer DAVE HILLAYRD enhances these powerful influences: Trojan Records, Studio one, Motown, Stax, NYC Ska, Toots & the Maytals, The Wailers, The Skatalites, Lee Perry/The Upsetters, The Slackers, The Aggrolites, Johnny Cash, James brown, Otis Redding & more. Its Motown & Kingston. Soul & Reggae. The result is brilliant, 14 amazing tunes that capture the high-energy that GRR have had at their shows since day #1. Green wax is sold out, black vinyl available. Housed in a two sided full color (well, at least green!) poster sleeve! 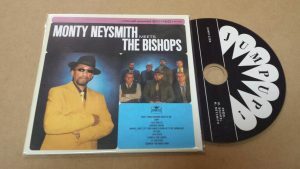 MONTY NEYSMITH (of SYMARIP) meets THE BISHOPS LP vinyl / CD limited to 250 copies and FREE SHIPPING WORLDWIDE! JUMP UP is proud to unleash the brand new album from SYMARIP’s MONTY NEYSMITH teamed up with THE BISHOPS from Omaha, Nebraska! We began working with MONTY back in 2014, and we paired him with THE BISHOPS for a live Jamaican Oldies concert at Chicago’s Mayne Stage. 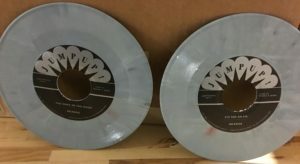 The partnership blossomed into a 7″ single early in 2015, then MONTY worked with SOUL RADICS for a second 7″ single later that year. 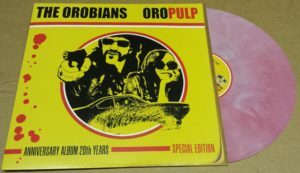 In 2016 he toured around the USA with THE BISHOPS and began recording tracks for this full length album. 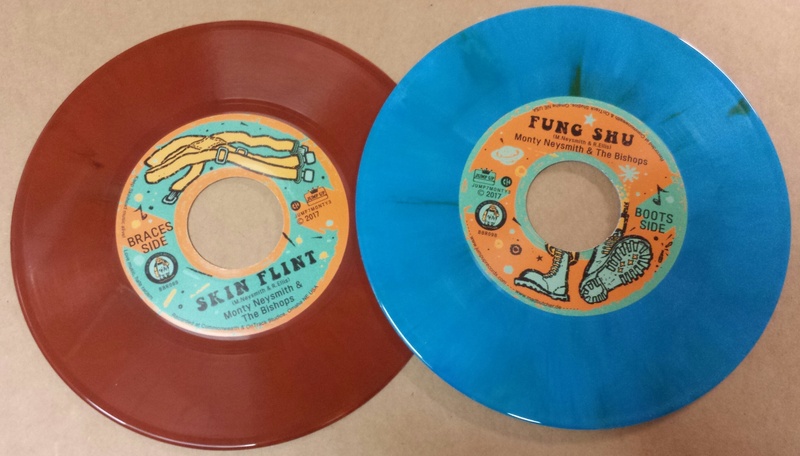 As a teaser we first released a 7″ single featuring two classic SYMARIP tunes redone: “Skin Flint” and “Fung Shu”. Now we are happy to say the full length album has landed on red vinyl and slimline CD – which has FREE SHIPPING WORLDWIDE! Let’s get ready for some of that ol’ moonstomping! A true return to form, classic vocal chat/sing skinhead reggae and ska, a great addition and continuation of the Symarip legacy! DEAL’S GONE BAD – “The Ramblers” LP VINYL (w/CD) – RED VINYL 10th ANNIVERSARY EDITION! Can you believe that “THE RAMBLERS” turned 10 years old this year? Wow! 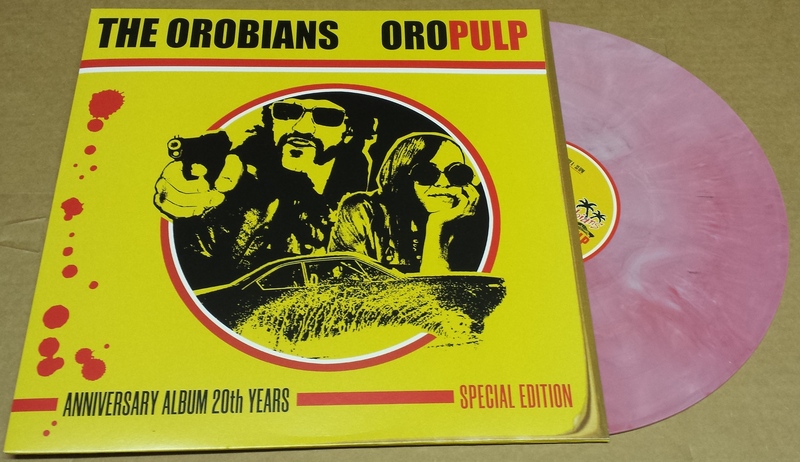 Here’s your chance to get this stunning album on vinyl once again! “The production is superb; clean, but not slick, capturing and distinguishing every note, whilst creating a fleshy, warm sound. Arrangements are inspired – forget the many stellar solos and grand bass lines, those automatically garner attention, it’s the small musical passages – the three bars of organ swagger, the little drum fill, the guitar flourishes – that demand notice by their very understatement. The closer you listen, the more of these subtle interjections you’ll find, each immaculately timed, placed and delivered, all beautifully coloring the songs. Dare one compare it to Jackie Mittoo’s time at Studio One? Close, but I think Gladdy & the Allstars’s stellar work across the early reggae age is more apt. And then there’s the songs themselves, a diverse bunch but sharing one thing in common, their strong melodies, arguably the most powerful in DGB’s career. Continue reading DEAL’S GONE BAD – “The Ramblers” LP VINYL (w/CD) – RED VINYL 10th ANNIVERSARY EDITION! 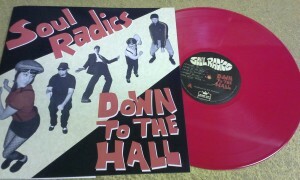 SOUL RADICS “Down To The Hall” CD / LP (JUMP111LP) – their debut album is still a classic! clones of The Slackers and The Aggrolites, SOUL RADICS truly stand out from the crowd with a unique, 100% original sound. CD is a limited edition digipak, LP vinyl is currently sold out, sorry. 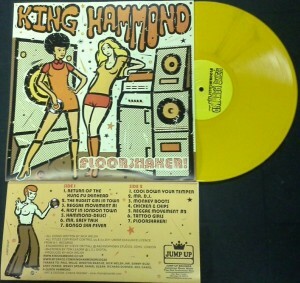 Nick Welsh Is KING HAMMOND – he is a SKA musician, producer, and songwriter from the UK. 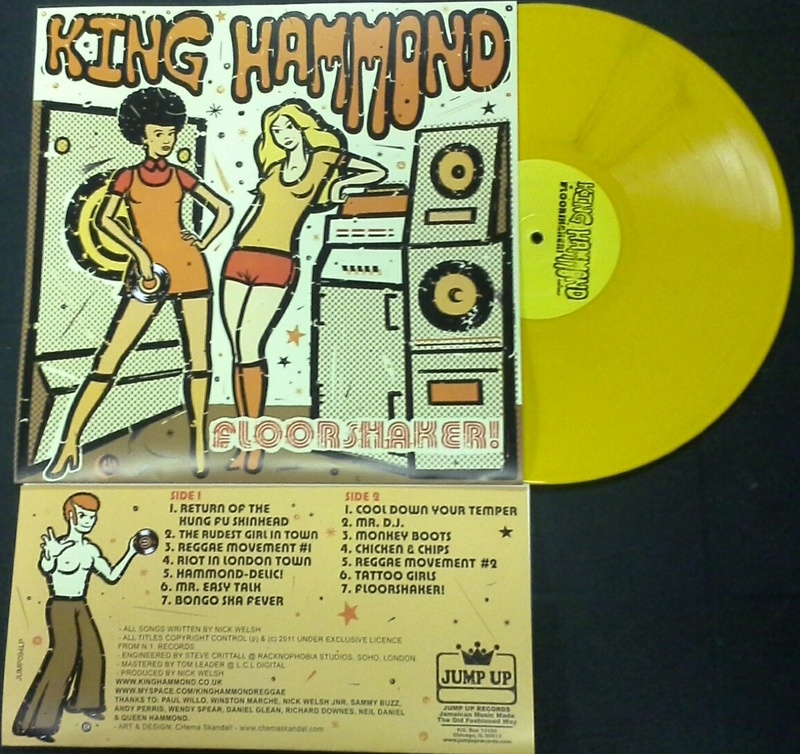 JUMP UP RECORDS is proud to release his first vinyl full length album since 1987’s “Revolution ‘70” – a skinhead reggae rarity released on Buster Bloodvessel’s resurrected Blue Beat label. What? Vintage 60s/70s skinhead reggae revival sounds in 1987? That’s like 15 years before THE AGGROLITES man! Can that be true? 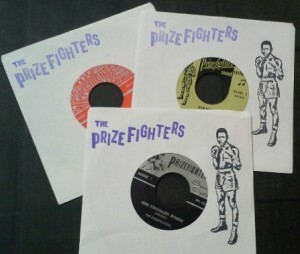 THE PRIZEFIGHTERS “A Musical Knockout” 3 x 7″ set + “Follow My Sound” LP (JUMP102LP) – CD available too! 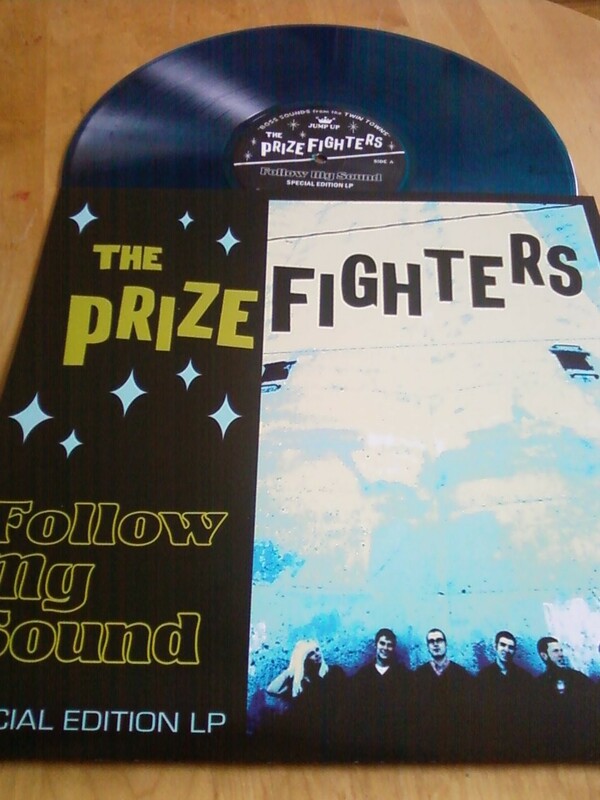 Things are really happening for our Midwest heroes THE PRIZEFIGHTERS! 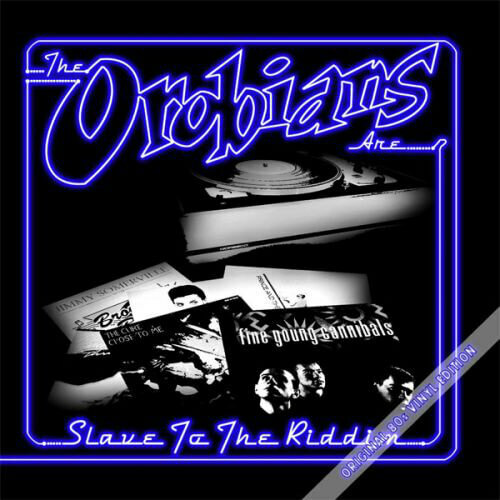 Not only have they done us proud backing Stranger Cole, Roy & Yvonne, and Charlie Organaire for our Jamaican Oldies series in Chicago, but they have a new 7″ series with Charlie Organaire and will be on tour with him in Europe this winter! We’ve realized more and more new fans are discovering our hard working crew from Minneapolis, so we’ve got their crowd sourced 3×7″ series now available here at JUMP UP plus we’ve re-pressed the blue vinyl debut LP too! Check out this excellent detailed review at DUFF GUIDE TO SKA! 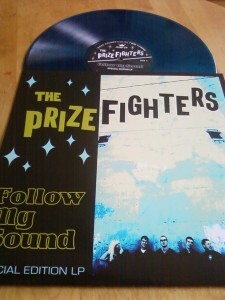 Continue reading THE PRIZEFIGHTERS “A Musical Knockout” 3 x 7″ set + “Follow My Sound” LP (JUMP102LP) – CD available too!